王浩, 任收麦, 周志, 王胜建, 刘一珉, 葛明娜, 郭天旭, 侯啓东, 金继浩. 华北燕山地区中—新元古界油气勘查形势[J]. 地质通报, 2019, 38(2-3): 404-413. 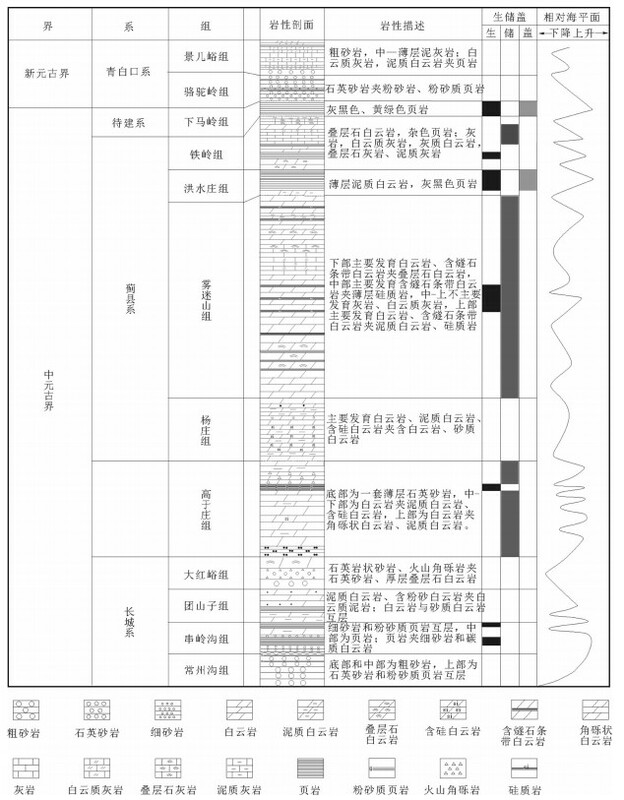 Wang H, Ren S M, Zhou Z, Wang S J, Liu Y M, Ge M N, Guo T X, Hou Q D, Jin J H. Oil and gas exploration status analysis of the Meso-Neoproterozoic strata in Yanshan area, North China[J]. 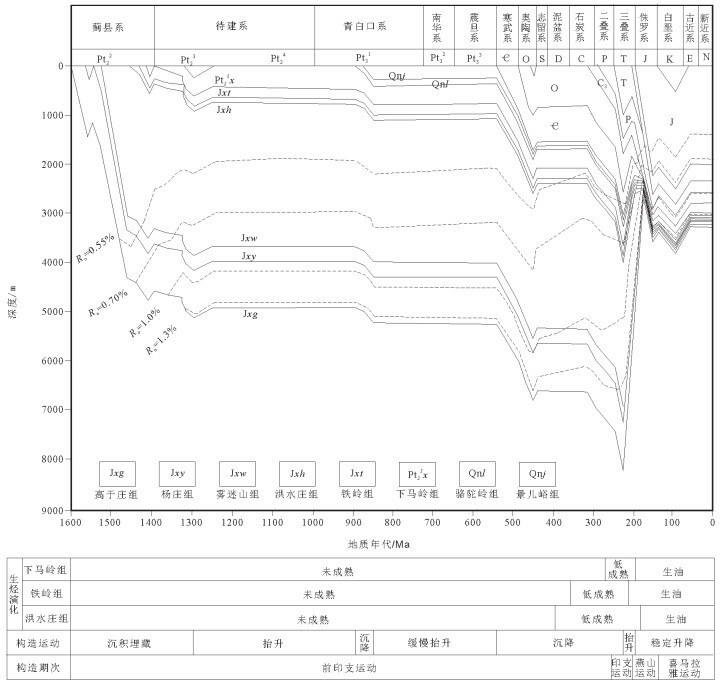 Geological Bulletin of China, 2019, 38(2-3): 404-413. Abstract: The oil and gas of the Meso-Neoproterozoic strata in East Siberia, Oman and Sichuan Basin of China have been explored successfully, which indicates that the Meso-Neoproterozoic strata seem to be a series of oil-gas source strata which are worthy of attention. The Meso-Neoproterozoic source rocks in Yanshan area of China are well developed, which shows good prospects for oil and gas exploration. Previous studies have been carried out in this area without substantial breakthrough in the exploration. 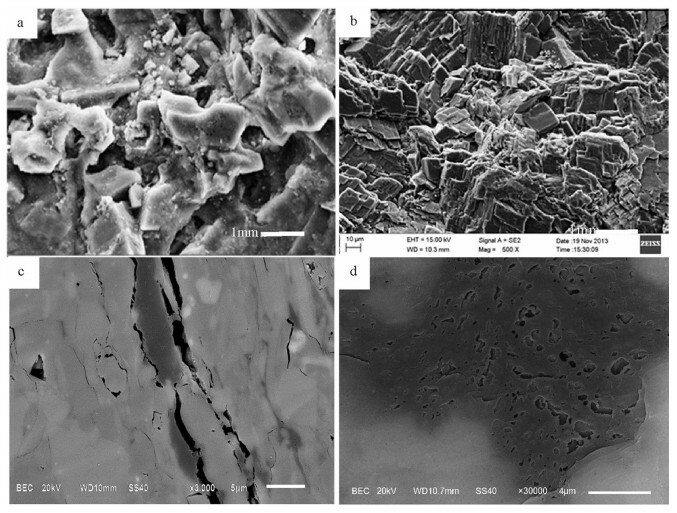 In this paper, the authors summed up the oil and gas exploration progress of the Meso-Neoproterozoic strata in Yanshan area, studied the organic geochemical characteristics of source rocks, analyzed the hydrocarbon generation potential of source rocks and evaluated the resources potentiality. Furthermore, the authors suggest that it is necessary to find the stable tectonic conditions of the MesoNeoproterozoic strata accurately, to strengthen the research on the preservation conditions of oil and gas resources and focus on the shale gas-based resources exploration. Terken J M J, Frewin N L. The Dhahaban petroleum system of Oman[J]. AAPG Bulletin, 2000, 84(4): 523-544. 魏国齐, 杜金虎, 徐春春, 等. 四川盆地高石梯地区-磨溪地区震旦系-寒武系大型气藏特征与聚集模式[J]. 石油学报, 2015, 36(10): 1-12. 翟刚毅, 包书景, 王玉芳, 等. 古隆起边缘成藏模式与湖北宜昌页岩气重大发现[J]. 地球学报, 2017, 38(4): 441-447. 赵澄林, 李儒峰, 周劲松, 等. 华北中新元古界油气地质与沉积学[M]. 北京: 地质出版社, 1997: 165-172. 郝石生, 高耀斌, 张有成, 等. 华北北部中-上元古界石油地质学[M]. 北京: 石油大学出版社, 1990: 54-61. 方杰, 刘宝泉, 金凤鸣, 等. 华北北部中、上元古界生烃潜力与勘探前景分析[J]. 石油学报, 2002, 23(4): 18-23. 刘宝泉, 秦建中, 李欣, 等. 冀北坳陷中-上元古界烃源岩特征及油苗、油源分析[J]. 海相油气地质, 2005, 5(1-2): 35-46. 闫相宾, 周小进, 倪春华, 等. 华北-东北地区海相层系烃源特征与战略选区[J]. 石油天然气地质, 2011, 32(3): 448-460. 荆铁亚, 杨光, 林拓, 等. 中国中上元古界页岩气地质特征及有利区预测[J]. 特种油气藏, 2015, 22(5): 5-10. 牛露, 朱如凯, 王莉森, 等. 华北地区北部中-上元古界泥页岩储层特征及页岩气资源潜力[J]. 石油学报, 2015, 36(6): 664-672, 698. 孙枢, 王铁冠. 中国东部中-新元古界地质学与油气资源[M]. 北京: 科学出版社, 2016. 王铁冠, 韩克猷. 论中-新元古界的原生油气资源[J]. 石油学报, 2011, 32(1): 1-7. 李怀坤, 朱士兴, 相振群, 等. 北京延庆高于庄组凝灰岩的锆石U-Pb定年研究及其对华北北部中元古界划分新方案的进一步约束[J]. 岩石学报, 2010, 26(7): 2131-2140. 张水昌, 张宝民, 边立曾, 等. 8亿多年前由红藻堆积而成的下马岭组油页岩[J]. 中国科学(D辑), 2007, 37(5): 636-643. 孙雨轩, 罗顺社, 吕奇奇, 等. 燕山地区冀北坳陷和宣龙坳陷中元古界碳酸盐岩储集空间类型及其控制因素[J]. 新疆石油地质, 2016, 37(3): 275-280. 国土资源部油气资源战略研究中心, 等. 全国油气资源战略选区资源与评价[M]. 北京: 地质出版社, 2013. 张守鹏, 边雪梅, 郝运轻. 燕山地区中、上元古界地层结构与油气保存条件分析[J]. 地层学杂志, 2007, 31(2): 599-604. 罗情勇, 钟宁宁, 朱雷, 等. 华北北部中元古界洪水庄组埋藏有机碳与古生产力的相关性[J]. 科学通报, 2013, 58: 1036-1047. 周志, 任收麦, 张聪, 等.华北油田分公司勘探开发生产前期综合性科技项目"冀北中新元古界有利区评价及突破口选择"科研报告. 2017.